Looking for eco-friendly gifts this year? Every year the holidays come and every year we scratch our heads wondering what gifts we can buy that are not only well-loved and well-used but don't add waste to an already overburdened season. Whether it's someone new to sustainability, or someone who was crunchy before crunchy was cool, we've put together a list of eco-friendly products that are creative, fun, useful, and appreciated. Hard-to-buy for people are usually those who have plenty already, or don't really want or need anything more. What better way to give to them than to give in their name to a reputable organization such as Heifer? Heifer allows you to give things like cows, chickens,clean water, cook stoves, seeds, and more to families and individuals around the world. It's not just a temporary need that's met with Heifer, but a long-term source of sustenance or the tools to provide for ones family and community with a gift that lasts. Check out Heifer.org and their Honor Cards here. A bamboo keyboard is not only crafted from sustainable material, it is also a clever conversation starter for tech-savvy green friends. Make sure the one you choose is compatible with your computer! Learn more about the bamboo keyboard pictured above. The 3-in-1 Bento box from ECOLunchbox includes and upper, lower, and snack box to help friends or family give up plastic and waste with style, and inspire others at work or school. They are dishwasher-safe and made from high-quality, food-grade stainless steel. 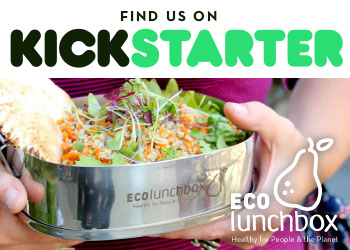 Learn more about ECOLunchbox products here. Ever notice how hard it is to find eco-friendly gifts for men? This iPhone case is not only masculine, it's also rugged and durable. Made for old firehose, it's obviously water resistant and one-of-a-kind. Learn more about Hipcycle's products here. These gorgeous lamps charge for free during the day and run on energy-efficient LED bulbs at night for 6-8 hours (the bulbs themselves last up to 100,000 hours!). They add a style and glow to any event or could even be brought indoors after charging for a party or mood lighting. Learn more about Gaiam's solar lanterns here. Essential oils make great eco-friendly gifts, especially for the person who has everything. Essential oils can be used for cleaning, immune support, mood enhancement, cooking, and more. Pairing them with a diffuser ensures they'll get more use too. Some popular essential oils to give: melaleuca, lavender, peppermint, oregano, wild orange, white fir, frankincense, and blends for respiratory support, immune support, skin care, or mood elevation. Learn more about the uses for essential oils here. For your green gardener, check out this one-of-a-kind set of 6 garden markers. Each marker is upcycled from old eating utensils and hand-stamped with the herb name. Tey won't fade or wear out like other ordinary markers, and they add a shabby-chic and fun look to the garden. Find these or other herb markers on Etsy. Among eco-friendly gifts for men, this bike tire belt is clever and affordable. It'd be great for a bicyclist, but also for any teen or man who loves adventure or wants something durable that won't wear out so easily. Click here for this upcycled bike tire belt. Click here for poop fiber journals. These non-toxic crayons are perfect for toddlers (especially those still putting things in their mouths) and children. All 20 stars were made from broken and unwanted crayons from around the country! Click here for eco-friendly crayons.